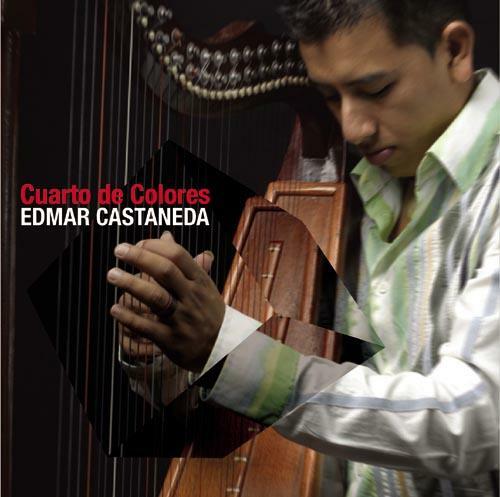 Edmar Castañeda (born 1978 in Bogotá, Colombia) is a Colombian harpist. He performs his own compositions as well as tapping into native Music of Colombia, Music of Venezuela;Joropo and Music of Argentina, Zamba. He tours regularly as the leader of the Edmar Castañeda Trio, together with David Silliman on drums/percussion and Marshall Gilkes on trombone. He is also a band member for the Andrea Tierra Quartet whose members areAndrea Tierra on vocals, Sam Sadigursky on flute/clarinet/saxophone, and David Silliman. 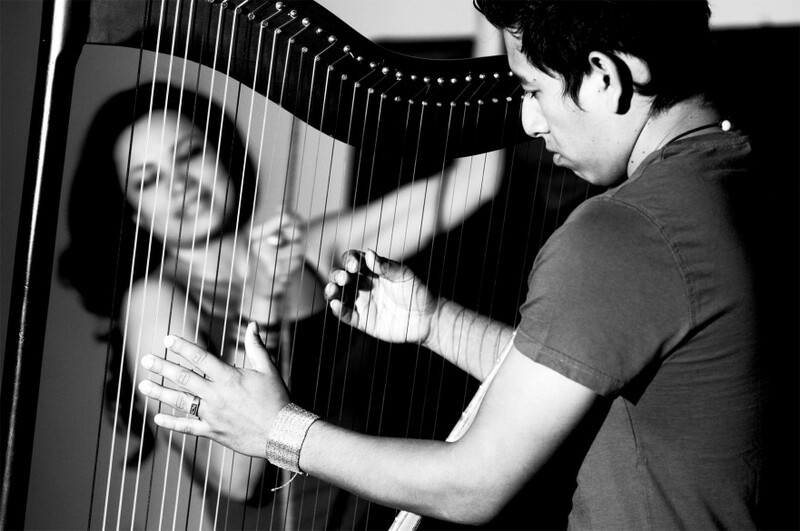 Castañeda is the son of Colombian harp player, composer, singer, teacher Pavelid Castañeda. He has performed with Paquito D’Rivera, Wynton Marsalis, John Scofield, Joe Locke, JLCO,John Patitucci, Giovanni Hidalgo, Lila Downs, Janis Siegel, Chico O’Farrill Afro-Cuban jazz big band, The United Nations Orchestra, Simón Diaz, Samuel Torres among other renowned musicians. In 2006 he released the solo album Cuarto de Colores and he released his new album Entre Cuerdas in June 2009. Andrea Tierra is a 24 year old singer-songwriter from Medellin, Colombia. 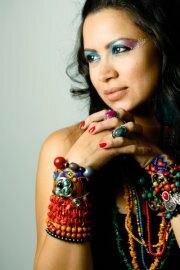 She has been performing traditional Colombian music since the age of twelve. Andrea is the result of innovative mix of popular Latin-American rhythms with jazz, flamenco and the essence of her own poems which she brings to life on all her performances. Her songs are progressive with a shade of irony and are often politicized against world injustice. Her contralto voice touches the hearts of the audiences with her interpretations of contemporary love songs as well as new generation songs. Andrea transcends the age gap with the intensity that only a musical leader can do. Andrea’s talent is a family tradition that has been growing within her since her childhood. At an early age she was part of her father’s theater company as a singer and actress traveling throughout United States with great success. Since 2000, Andrea moves to New York and starts her solo singing career, forming a band and playing in the most popular bars and restaurants of the city. Among the many stages where she performed, she had the opportunity to sing in the annual Colombian heritage festival held at the Madison Square Garden and was one of the audience’s favorite artists. Andrea Tierra, has performed at the New Orleans Jazz Festival, The Bayside Festival of Miami, The Latino Festival of New York, and world music re-known venues as Satalla, Jazz Gallery, Zink bar, Sweet Rhythms, among others.